and reinvigorating aging postwar facilities. Terri Peters is a Canadian architect, writer and researcher now based in Toronto, who previously lived and worked in Denmark and the UK for 12 years. She has a broad network of multi-disciplinary collaborators, relating to sustainability research, building transformation, health and wellbeing, as well as the employment of new technologies. 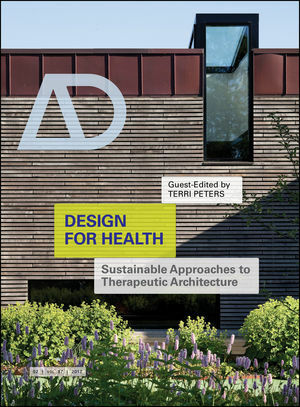 She is a Post-Doctoral researcher at the University of Toronto, investigating the relationship between sustainable architecture and health, particularly analysing how architectural design can improve patient wellbeing in residential care environments. She has organised conferences, served on discussion panels and award juries, and made presentations to various international construction industry and research institutions. She is the editor of two recent publications: Experimental Green Strategies: Redefining Ecological Design Research, AD (Wiley, 2011) and Inside Smartgeometry: Expanding the Architectural Possibilities of Computational Design (Wiley 2013).